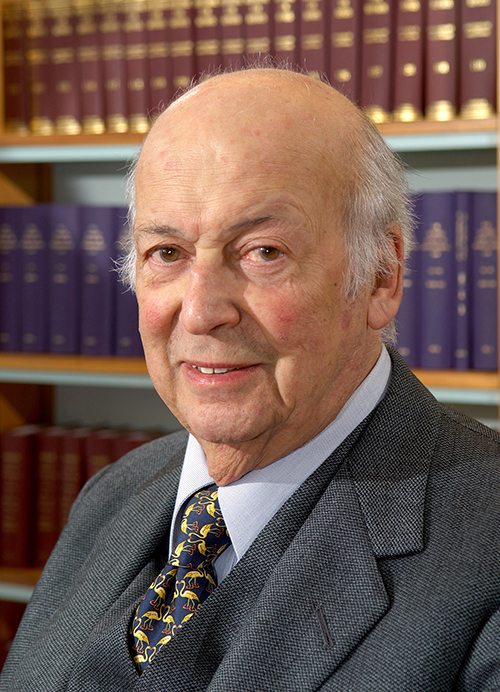 The Eli Lauterpacht Fund has been set up in memory of Sir Eli to support the work of the Lauterpacht Centre for International Law, which he founded, directed and inspired. We hope you will join us in remembering this extraordinary international lawyer and friend through donating to this Fund. During this current fund-raising drive, the Centre’s ambition is to raise £750,000. With your support the Fund will be used to strengthen the Centre not only generally but additionally for three new initiatives – the Cambridge International Lawyers’ Archive, the Eli Lauterpacht Visiting Fellowships and the Eli Lauterpacht Events Fund. This will enable the Centre to become an even more vibrant place for research in international law, cementing its position as one of the field’s leading research centres in the world. In collaboration with Cambridge University Library, the Centre is working to create an archive for the papers of international lawyers who have a strong connection to Cambridge, thereby attracting scholars from across the world who are interested in the history of international law. The library offers world-class archival facilities. In addition to Sir Eli’s papers, these facilities presently include those of deceased former lawyers - Clive Parry, Derek Bowett and Robert Jennings. LCIL needs £250,000 for the cataloguing of the papers it has already received. Eli loved welcoming scholars from across the world to the Centre. An Eli Lauterpacht Visiting Fellowship allows LCIL to invite each year a scholar, or a practitioner in international law, whose work is relevant to LCIL Fellows to spend at least a month at the Centre and join in research collaborations. £250,000 will endow one such fellowship. Strengthening the Centre as a vibrant focal point for research in international law, the Eli Lauterpacht Events Fund will enable LCIL to convene seminars on a wide range of topics, welcoming leading scholars and practitioners from diverse backgrounds and regions. This Fund will be used for covering the accompanying costs of travel, accommodation and hospitality – a characteristic that Eli himself is so well remembered for. The Centre hopes to raise £250,000 for the Events Fund. The Centre welcomes gifts to the Eli Lauterpacht Fund either for the Centre’s general use in developing facilities and promoting the study of international law, or for any of the above three initiatives. The support received helps the Centre maintain its position as one of the leading research centres for international law in the world, consistent with Sir Eli’s vision, and to ensure that the Centre is well placed to contribute to the development of the study of international law. The Centre’s Director, Professor Eyal Benvenisti (eb653@cam.ac.uk, Tel: +1223 335358), would be delighted to discuss your donation. The Fundraising Regulator is a new UK regulatory body. The University (like all other HEIs) is registered and it is a mandatory condition of registration that the Fundraising Promise is included on focussed fundraising materials.